and surrounding cities for 85 years. The Welborn Electric Company team is dedicated to providing you with the highest level of professionalism, quality, safety and customer service in the industry. You can trust 8 generations of NC electricians. Contact Welborn Electric Your Greensboro electricians right away. We are here to help. Electrical contracting is the business of bringing power, light, and communications to buildings and communities across the United States and around the world. Sounds like an important job to Us and we are proud to offer our expertise to Greensboro North Carolina.To find out more about electrical contractors Click Here. 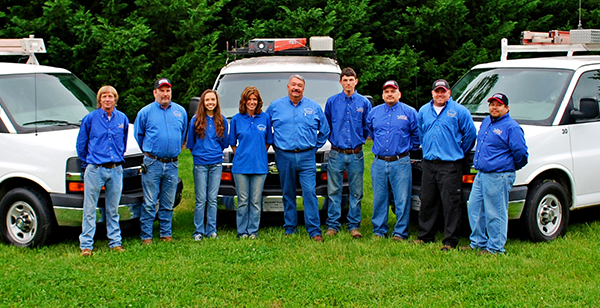 We are your Greensboro Electricians. We understand that there are several mishaps that lead to great inconveniences for you, your family or other occupants of a residential property when it comes to electrical problems. . The top causes of power outages are mechanical problems and bad weather, such as the extreme heat that we have experienced in the summer of 2013. Over the years, Welborn Electric Greensboro Electricians has earned itself the reputation as the supreme choice for residential electrical installation services. It has a team of electricians that are fully qualified, licensed and determined to offer the services that you need. Need to hire a Greensboro Electrician? If you have experienced frequent power outages it can be frustrating, especially if you run a home-based business. If you are experiencing the problem of frequent power outages, you can easily overcome it if you install standby generators. This is where Welborn Electric Greensboro Electricians comes in. We can handle all of your electrical needs and we are located right in the heart of the triad in Greensboro North Carolina. Electrical fires in our homes claim the lives of 280 Americans each year and injure 1,000 more. Some of these fires are caused by electrical system failures, but many more are caused by incorrectly installed wiring and overloaded circuits and extension cords..